in hard times you get to know which of your friends are actually your friends and which are not. One of my friends stood out during the last weeks and I dediced I wanted to thank her somehow. It came very handy that she called for a new hat as the nights are already very very cold here and she didn’t want to have cold ears after her sport sessions. I almost yelled at her to let me make this hat. She gave me yarn and I started. I browsed through some of her pins and faves on ravelry and started to have a good idea of the kind of hats she liked. I started and came up with this pattern. it’s probably the joy of finishing the first of the knit/crochet alongs for this years calendar. Today we will add the finishing tough to our new hat. I call it Sylvi Pixi for a reason, and this reason is the flower that will be sewn on with a few stitches to on side. But before we continue with the pattern for the flower: the first part of Sylvie Pixi and the second part as well. now pick up the next five sts that you left on your needle and repeat rows 6-25. Do this again for the next three leaves as well until you have made 5 leaves. wash and wet block your hat and flower (just leave to dry on a towel and pull in place. Then go ahead and sew the flower onto your hat. 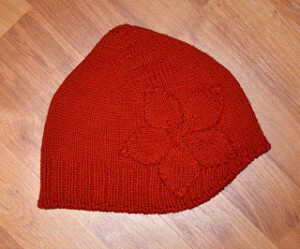 You can use all the yarn ends of the flower, this way you sew the ends in and sew the flower to the hat at once. 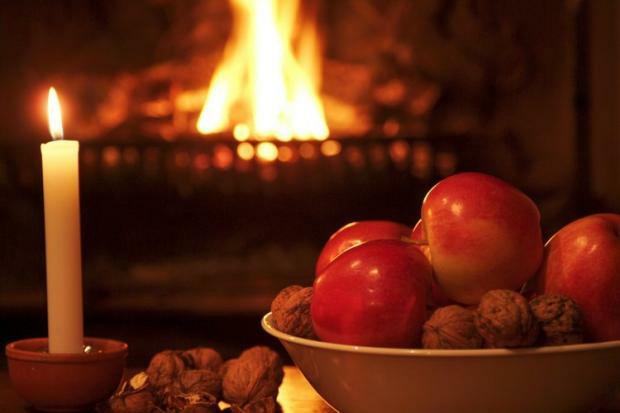 Oh the weather outside is frightful, but the fire is so delightful, and since we’ve no place to go, Let It Snow! Let It Snow! Let’s make a hat! doesn’t rhyme very well, but hey, let’s knit anyways. worsted weight yarn and 4.5 mm needles, preferably circulars, or if you prefer them DPNs will do as well.